As the Golden Bears enter year 2 of the post-Jordan Baker era, the team will continue to grow its younger players as it finds new players to contribute and perform on a consistent basis. With the departures of two of their three top scorers from last year: Joel Friesen and Kenneth Otieno, as well as a whopping seven first year players joining the team, postseason play will be no guarantee, despite having made it to the Canada West playoffs for over a decade straight. Forward Mamadou Gueye, the only returning player to have started the majority of the Bears’ games last year, will be expected to carry a bulk of the scoring load, as well as take on a leadership role. As a sophomore last year, Gueye was second on the team in scoring with 16.9 points per game, and also led the team in rebounds with 7.3 per game. As for the large amount of incoming talent, expect Brody Clarke to become a big contributor to this year’s team. 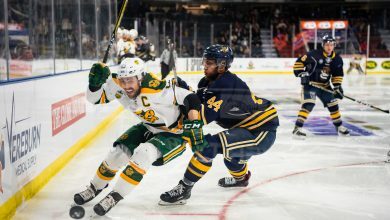 Clarke, who red-shirted last year for the Bears as he recovered from multiple knee surgeries, is the only player in all of the CIS to make the Canadian National U-19 Team this past summer. Though he has no university playing experience, Clarke is expected to be in the starting lineup right away. The Bears sported a 14-6 record last season that was punctuated by an eight game winning streak to end the season, but lost in the Canada West quarterfinals to the Victoria Vikes. 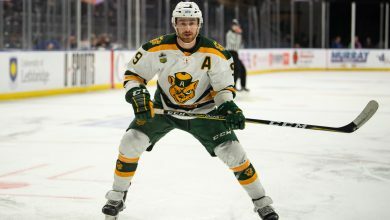 With such a strong end to the season, the team surely expected a better performance in the playoffs, but they simply could not get past Victoria, as their year ended abruptly with a sweep. The team mainly relied on the scoring of Joel Friesen, Mamadou Gueye and Kenneth Otieno, while Youssef Ouahrig served as a steady hand at point guard. Unofortunately for the Bears, only Gueye will be coming back this year, which leaves some holes to be filled. The Bears start the year with a tough matchup on November sixth in Vancouver, as they take on the UBC Thunderbirds, before coming back to Edmonton for their home opener on Nov. 13 to face the University of Winnipeg Wesmen. These early games will likely include some experimentation with the lineups from coach Barnaby Craddock due to the lack of continuity from last season. As for getting another shot at Victoria after last season’s playoff exit, the Bears won’t get until January, when they will host the playoff-poised Vikes on Nov. 15 and 16. The Bears will again get to face the Calgary Dinos, but in an unorthodox fashion as they travel there on December 5th for a game, but won’t get their second game until their last game of the season on Feb. 20. 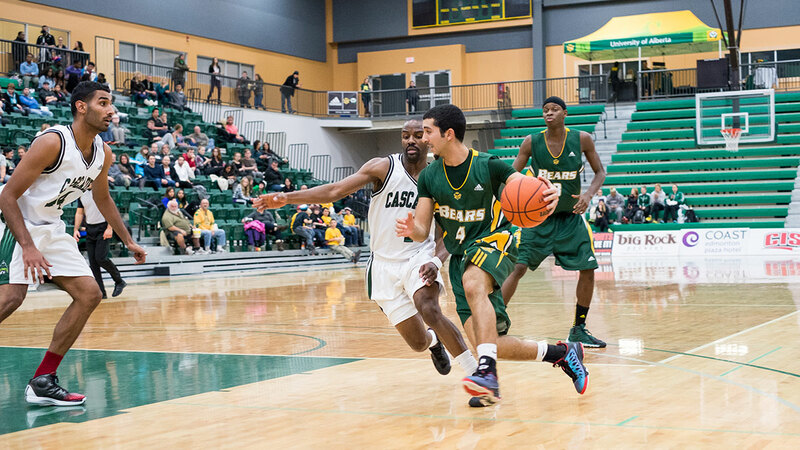 The Bears, while in a bit of a transition year, should still make the playoffs, but don’t expect a trip to the Canada West Final Four. A lot of this year will be focused on growth, as the team will try to figure out what it has in its seven incoming freshmen.